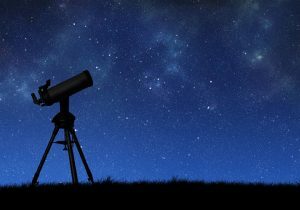 Go on a laser-guided, night-sky tour of the stars and planets. Enjoy a planetarium show for a fun orientation to the night skies. Examine the Pioneer Plaque, decipher its message and craft your own symbolic message for the cosmos. Join NASA’s fictional Exoplanet Travel Bureau and promote futuristic interstellar travel. Become an astrobiologist and investigate icy orbs to reveal their secret interiors. Meet Earth’s extremophiles, find out what they might tell us about life outside of earth, and design an extraterrestrial life form. Discover how scientists find planets around distant stars and where these worlds are located. Cape Fear Museum of History and Science, a New Hanover County department, is open 9 a.m.-5 p.m. Tuesday through Saturday, and 1-5 p.m. Sunday. General admission is $7 for adults; $6 for students with valid ID and senior citizens; $6 special military rate with valid military ID; $4 for children 6-17; and free for children 5 and under. Museum members are admitted free. New Hanover County residents’ free day is the first Sunday of each month. The museum is located at 814 Market Street in historic downtown Wilmington, NC. More information: www.capefearmuseum.com.